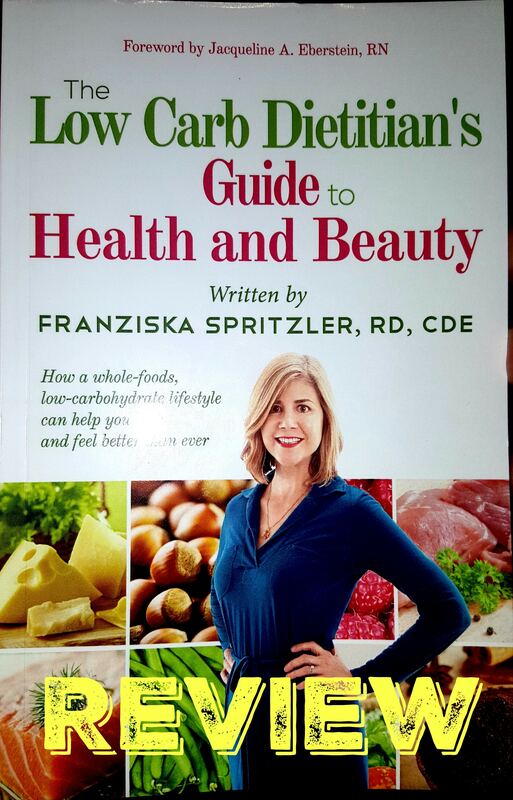 After my interview with Franziska Spritzler, she was kind enough to send me a copy of her book , The Low Carb Dietitian’s Guide to Health and Beauty. I wanted to review it for you guys because I am always on the lookout for books that adequately explain why we eat the way we do and can help people fill in the holes on any info they might not know. The first thing she does is quickly walk us through her story on how she wanted to take back control of her health through food. After a short detour through veganism that left her with low energy and irritability she realized that her blood glucose levels were just out of control. Either she had pre-diabetes or a rare form of Type I diabetes that doesn’t show itself until late in life. Knowing she had to get her blood sugar levels under control, she began to do research into a low carbohydrate way of eating and discovered it was exactly what she needed to regain her health. After seeing the huge changes that happened in her own body, she began to study the science behind LCHF which eventually led to her website and then to this book. Franziska is one more n=1 experiment that shows the power of a low carb diet to fix almost anything wrong with your health but especially issues related to blood sugar like diabetes. Moving through the book, she does a great job of covering all the information someone new to this diet would need to know before starting and walks the reader through the whole process. She explains what to eat, how to decide if LCHF is right for you and does an excellent job of answering any questions the reader might have before “taking the plunge” into LCHF. She also has a large section of recipes that the reader can use to get started. I know that was one of the more difficult things for me to wrap my head around was exactly what I could cook. I needed someone to give me ideas in those early days and walk me through how to think about a dinner that contained no sugar or grains. There is also a section on how different LCHF foods affect your beauty as well which I found interesting because I don’t think I’ve ever seen a a LCHF book that talks about how you can use this way of eating to improve how you look. So you learn how avocados can reduce UV damage to the skin or how cinnamon can reduce inflammation and the Advanced Glycation End products that can lead to wrinkles. I think there could be an entire book just on this topic alone. This is a great book for someone that is looking for a lot of information on the LCHF diet or has questions about this way of eating. Special care is taken to answer all the obvious questions and objections and walk the reader through exactly what they need to know and do to start repairing their health and losing weight with a LCHF diet. 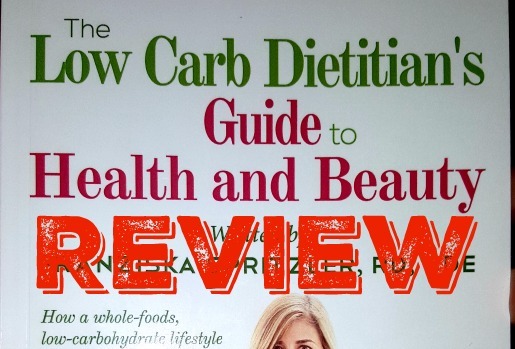 To get your copy of the Low Carb Dietitian’s Guide to Health and Beauty, click here! 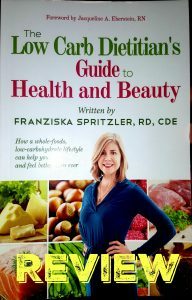 PREVIOUS POST Previous post: The My Sugar Free Journey Podcast – Episode 36: Franziska Spritzler, The Low Carb Dietitian!